$57,000 for the Council. that is the most we have ever raised! It’s really all you need to have in your fridge!! Just had some of your Flamin' Gorge sauce on chicken and I must say it is one of the best sauces that I ever taste. I love the smoke taste and the Chipotle had a nice kick to it. Keep up the good work! I am writing to thank you for staying true to your word by providing us with your sauces. This last Saturday we had a tailgate for our football game, the Rustic Ramshorn and the Tasty Tetons were a huge hit for the shoulders we cooked! Thank you for the taste of Wyoming I was able to deliver to the folks of GWU. Be easy, friend! Your Bold Faithful Sauce is Excellent! Wanted to say how amazing your sauces are! The Buffalo Wing sauce is by far the best Wing Sauce out there and your Rustic Ramshorn was put up against the Traeger Brand BBQ sauce and cooked on my Traeger and was hands down better! Cant wait to try more! Wyoming Sauce Company hanging out with the Ridewell Suspension, Precision Metal-Tech, SLM Motorsports 63 split window pro mod corvette this weekend. Family racing equals family food made extremely better with some over the top sauces. Thanks Wyoming Sauce Company, we loved all the different flavors. Spicy chicken tacos. 2.5 lbs boneless chicken breast. 1pk. Taco seasoning, 1/4 cup Wyoming sauce -bold faithful, 2 tabs garlic ,1 can Rotella original. Combine all ingredients into crock pot cook on low 6 hours. Shred chicken return to crock pot and stir. Serve on whole grain tortillas with lettuce, tomatoes and extra bold faithful. Enjoy! This is hands down the best steak marinade I've ever used! Let it soak for about a day in it and cook your steak and it's hands down the best steak I've ever made or bought! Definitely worth the money! Bought a couple bottles in Moorcroft the other day before we headed back to the western side of the state. Just tried the BBQ SAUCE and it was amazing. Gonna have to find a way to get some over here. Jim, What a great surprise to receive your sauces. I'm looking forward to trying them out! Thank you for thinking of me. I would love to catch up sometime. Omg! I taste tested this at the Piggly Wiggly in Lake Geneva WI last week. I have already used the Sweet Cheyenne twice. Once as a marinade for my flank steak and once as a dip for chicken I had made. All I can say is this will now be my new go to sauce. Can't wait for this weekend to try on ribs. Yummmmmm. High Class Redneck Beef Ribs Wyoming Sauce Company is the sauce we used. Give them a shout and a try. Hi, I picked up five bottles at the Wisconsin sports show last week and have since used 4/5 of your flavors. Love it! Kids can't stop talking about the ketchup too! Want to know where I can purchase in Wisconsin? You must hook a man and his family up. The only bottle of ketchup didn't last a week and I am looking forward to purchasing more. Man Muffins: Can of biscuits, cut I half, make bowl in muffin pan. Brown hamburger, mix in BBQ sauce and Sweet Cheyenne sauce. Bake at 350 for 9 minutes, add shredded cheese, bake an extra 5 minutes. Yumm!!! Awesome!! 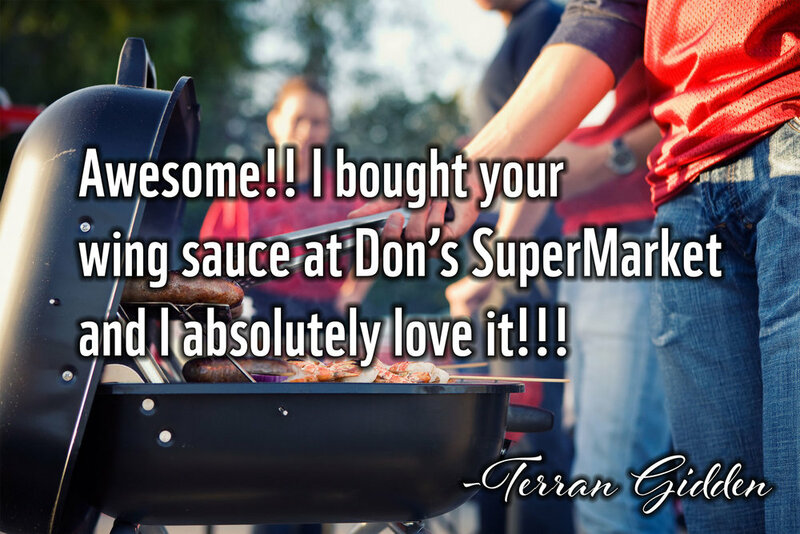 I bought your wing sauce at Don’s SuperMarket and I absolutely love it!!! We tried the ketchup and it was out of this world wonderful!! If this is a prelude to the others, I can hardly wait to try them!! There was BBQ chicken recipe that had called for your product. Got to love the internet , after 44 years of cooking, I'm really enjoying the diversity of flavors. Thank you again and wishing you many years of business. I am from Buffalo, NY the wing capital of the world. I fired up some wild turkey bites and shook them in Bold Faithful Wing Sauce. They were the best I ever had. You can get them in your grocery store. They were also fantastic and very quick prepare. I am looking forward to trying all the sauces from the Wyoming Sauce Co. if they are even close to the above mentioned, we have a winner in the jug sauces and marinates. I am from where chicken wings began. Wyoming wing sauce is better than the wings from home. I also tried there other sauces and marinate. They are all fantastic. Get you some you will be happy you did! I took a break from air frying for a while (experimenting with the pressure cooker). I got myself another bottle of Wyoming Wing Bold Faithful Sauce (and some free swag, thanks guys! ), and fired up some fried chicken thighs tonight. SO AWESOME! I love the bold faithful sauce! I was fortunate enough to be vendor neighbors to this company with it's representative Paul at the Buffalo Wyoming Longmire Days. Great homegrown company with excellent product and service. My son in law Chris Nieman and my husband Shane Greet will be getting some of the warmer sauces like Bold Faithful while I will be enjoying my Sweet Cheyenne marinade. Thank you Paul for introducing me to such great sauces and being a great neighbor!! Hope to see you again for Octoberfest! Hey Paulie, that marinade is great on elk! I'll be throwing a bottle in a pannier for camp for sure! Thanks! 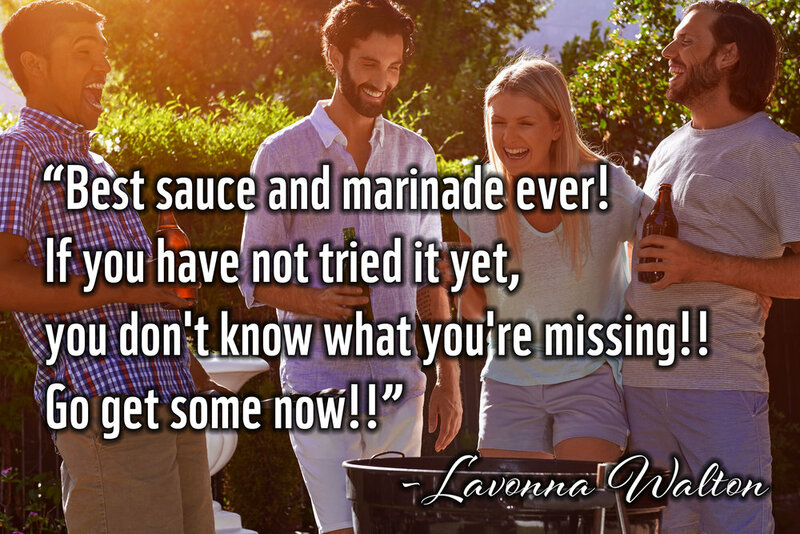 Your Sweet Cheyenne steak marinade is far superior to any other steak marinade I've ever used!! It is absolutely wonderful and I use it on all the steaks that I grill now! Thank you very much for your product and I hope to try more of your sauces in the near future!! I won't ever grill another steak without it!! Just ordered on Amazon. This is my 3rd go round. I can't keep enough in the house. They are all a great surprise every time we use one! I can't get enough !!! Fabulous !!! Great to find a new wing sauce with zing! Easy ordering and delivery. Looking to give as a gift to a friend who loves cooking wings for football season.